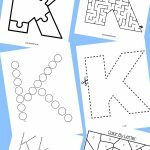 As with each week, I have created a 20-page printable pack of letter R activities and worksheets including tracing pages, dot-to-dots, letter matching, color by letter, letter mazes, letter cutting pages and more! There are worksheets for both the lower case R and the upper case R. Find details for downloading at the end of the post. 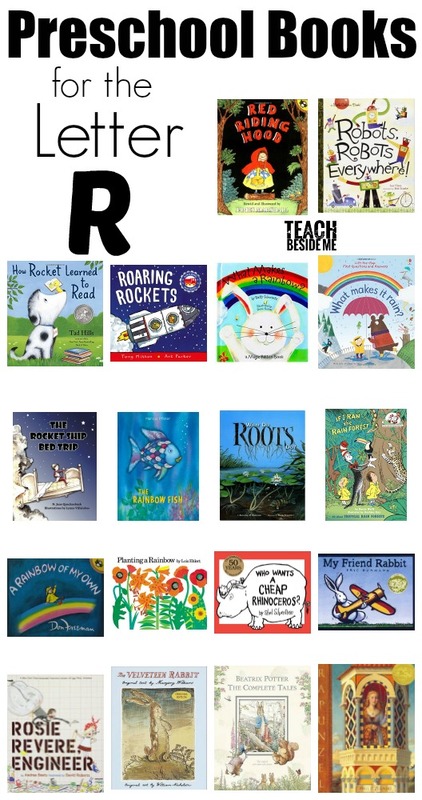 I have a great big list of preschool letter R themed books. There are some great theme ideas for the letter R,s o it was hard to narrow down to our favorites for this one! Hopefully you find some books from this list that will work well for your preschoolers! Thesis a simple to assemble letter R craft. We chose to do R is for Rhino! 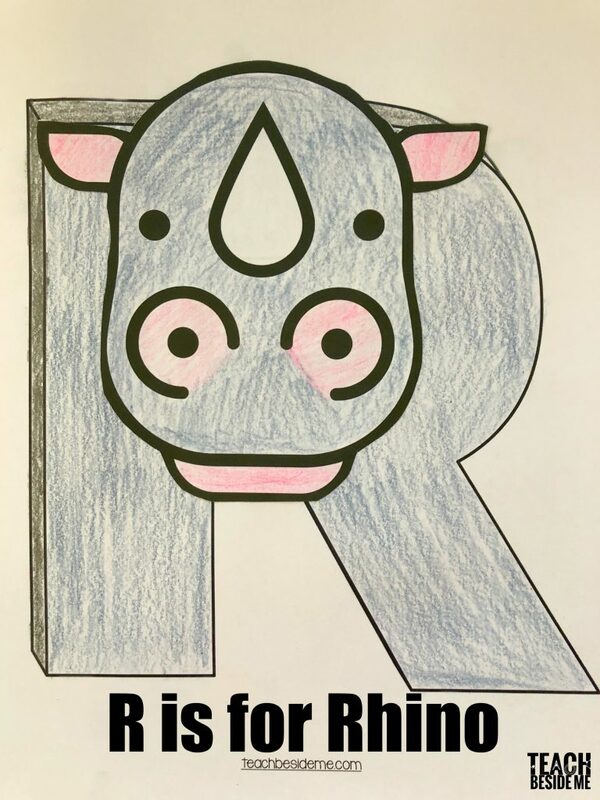 Just print out the R and the Rhino face, color, cut and glue! Kids can be creative with their color choices & cut all on their own! Give kids a sampling of all things RED! 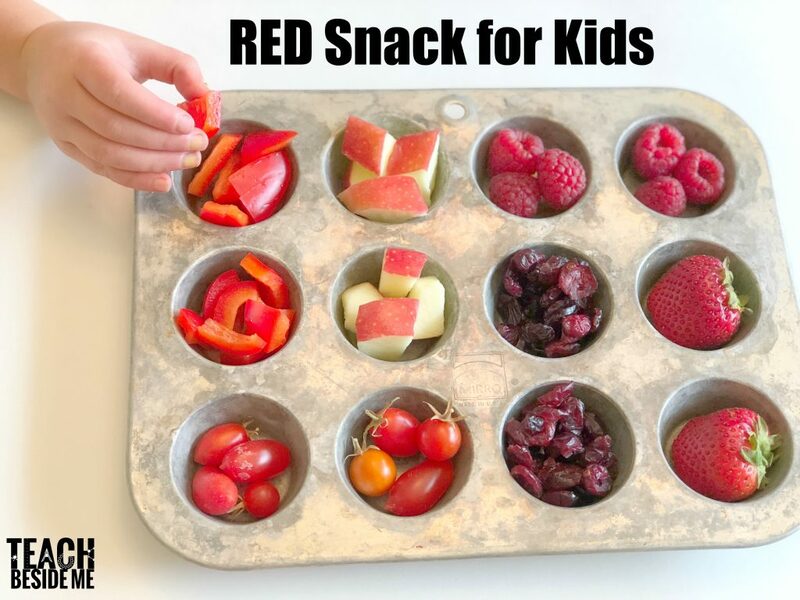 Fill a plate of mini muffin pan with a variety of red foods for kids to taste and sample. You can talk about the nutrients that one from eating foods with a lot of color! Here are some red foods that I thought of: Red peppers, Strawberries, Cranberries, Cherries, Radishes, Pomegranates, Watermelon, Red Beans, Goji Berries, Tomatoes, Raspberries, Red Apples. What else can you think of? See all of the Letter of the Week Posts. Letter A is always FREE in my subscriber library for you to try out. Interested in Downloading the Preschool Letter R Worksheets and Activities? This is available in my shop as part of my letter of the week bundle. Grab it here!